In this fast paced society, sleep deprivation in on the rise. It is vital we get enough quality sleep so we can function properly and not feel exhausted. Many illnesses and diseases are a result of chronic sleep deprivation. Many of us can avoid this by adapting these 3 top tips. Melatonin is probably the most known hormone associated with sleep. Melatonin is made in response to darkness and the sleep/wake cycle. It is at its highest levels in the late evening, in preparation for sleep during the night. Bright lights inhibit the production of melatonin, stopping you from getting asleep. Don’t use bright centre lights in the evening. Instead use lamps or dim the lights. The blue light from our computer screens or mobile devices stops the production of melatonin, our sleep hormone. Install an app called ‘Flux’, which will take out the blue light according to the daylight hour. Don’t engage in anything that is stressful leading up to going to bed. Stressful activities can lead to worry and keeping you from going asleep. The last hour before bed should be dedicated to peaceful and relaxing things. Finding a night-time routine with consistency will help the body to unconsciously recognise that it is time to wind down and switch off. Most people with anxiety just can’t get to sleep. You lie in bed starring at the ceiling, getting more and more frustrated because you can’t go to sleep. When you are in the quite of the night, there are no distractions and so you are alone with your thoughts. You mind is racing with thoughts and it feels like it’s going to explode. This is typical most nights going to bed. So for some, before you even get to the bedroom, you are already worried that you won’t be able to go to sleep. This brings up fears around sleep and more anxiety. Cortisol is naturally high in the mornings and reduces in the evening time, part of the circadian cycle, in sync with night time and going to sleep. It is also involved in the regulation of your sleep/wake homeostasis cycle and is also produced with adrenaline, in response to stress as part of the ‘fight or flight’ response. In our fast paced society, the problem now is that we are continually pumping out cortisol in response to stressors. People who have anxiety or fatigue normally have a low functioning vagus nerve. The vagus nerve is part of the parasympathetic nervous system and it controls the heart, lungs and the digestive system. In fact, it has an influence on the functioning of all the major organs, involuntary muscles in the body and high cortisol levels (especially at night-time when they are naturally lower). When the vagus nerve is stimulated, it calms everything down allowing the body to go into homeostasis and brings the body back into balance. The vagus nerve contributes to how we are feeling and our mental wellbeing. 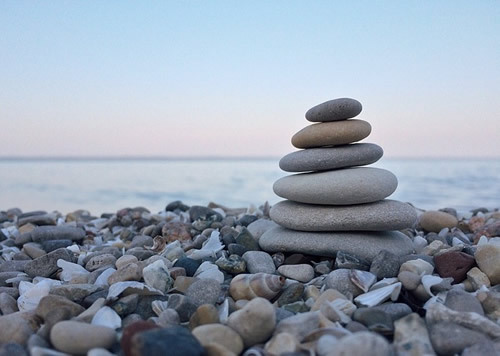 It is part of the mind body connection since it is connected from the brain right down to the abdomen. Chanting, singing, laughing and gargling water can all stimulate the vagus nerve. Massages around the neck area are also quite effective. When we hug, we release the oxytocin hormone which is responsible for our social bonding and feeling loved. This hormone in turn also activates the vagus nerve. Yoga, meditation and deep belly breathing are also very effective ways to stimulate the vagus nerve. Our sleep is a natural process and many of us still try to control it instead of just letting it happen naturally. It’s the very struggle that is stopping us from getting asleep. In order to get out of this head space, you can do some things to bring yourself back into the body which will help the natural process of sleep without trying to control it. If you’re having racing thoughts or worried about the next day, write it all out on paper. You are safe in knowing that the list is stored somewhere, other than in your head, and can reliably be recalled. Take a shower and gradually turn the heat up and then gradually turn it down. This is a great method I use to get out of my head and it works. 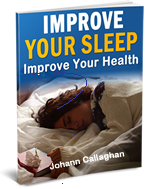 There a lots of other tools and tips that you can also apply to get a better night’s sleep. However, if you implement these 3 into your routine you will get fast results and be well on your way to sweet dreams. 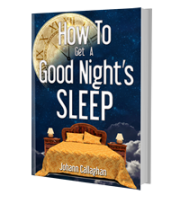 If you found this article enjoyable, please find out more about my book ‘How To Get A Good Night’s Sleep’. How To Get A Good Night’s Sleep’ is easy to understand, solution based and backed with research to help you take back control of your night’s sleep. What Causes My Stuffy Nose?